By admin in Application Process on December 29, 2017 . 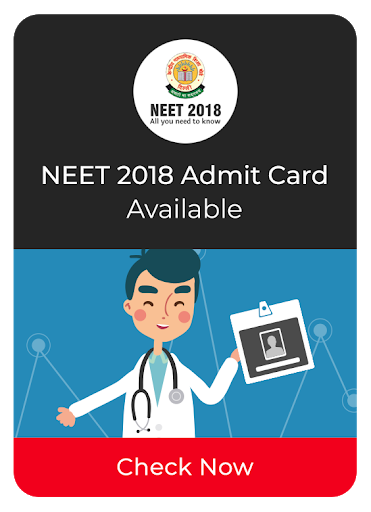 Syllabus for NEET 2019 is same as the previous year and change in the governing body has not changed the exam pattern either. it is a tough exam and requires continuous practice with time management. So, students can take help from NEET previous year question papers. From previous year question papers, students will analyze their preparation, difficulty level of the questions, distribution of questions, marking scheme and number of questions asked in the paper. Click here to read the preparation tips. Previous Year Question Papers help students to familiarize with the exam pattern. Different Year Question Papers are available here along with their Solutions. Students can freely download the question papers. Ques: What is the difficulty level of NEET question Paper? Ans The difficulty level of paper depends upon its Preparation level. Last year the difficulty level was Moderate. Ques: Does questions are repeated in the paper? Ans Chances of repetition are quite low. Ques: What are the languages of NEET Question Paper? Ques: How many questions are normally asked from NCERT Books? Ans On an average 80-85% questions are asked from the NCERT Books. Ques: What is the percent-wise distribution of question in NEET Exam?